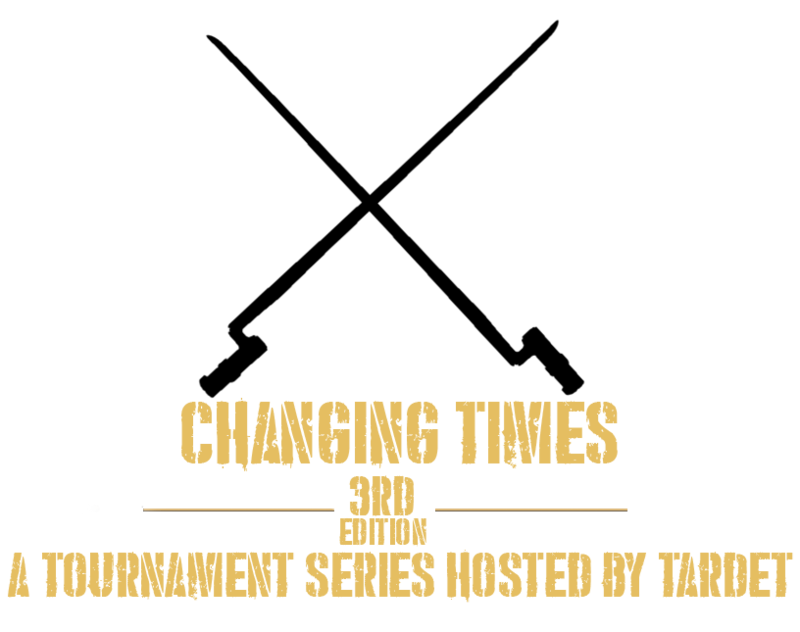 Last Changing Times tournament has been hosted long enough ago so we can think about another edition to happen. While being really happy with the current state of the community where many events are currently being hosted, back to back, it also forces me to announce my tournament a bit sooner than I had wish to make sure the date doesn't conflict with another competition. I considered all the different formats and eventually had to rule out 1v1, 2v2, 4v4, 5v5 or 9v9 as they have been played too recently or are yet to be hosted this month. Without further ado, I'm happy to present you the 7v7 Groupfighting Tournament - 'Changing Times', third edition of a series which I hope being able to pursue for quite some times. Event Date : Saturday 13th of January | Time : 19:30GMT | Sign-up Deadline : Friday 12th of January | 23:00 GMT | Co-Host: Lone. Number of participants is fixed to 16 teams | Prize : The usual E-fame going with the tournament title. 1. Be respectful towards the member of the staff and the other players. 2. Line Infantry | Ranker is the only class allowed. Bayonet is the only weapon allowed. No shooting. 4. Melee speed will be in medium. 5. No delaying in combat. 6. Only enter the arena if the name of your team has been called, not before. 7. If you break a rule, you will be warned. There will be no second warning. 8. You're requested to use normal in-game name to sign-up your players. Fakes won't be allowed. You can use alternative nicknames such as historical names as long as you also sign-up players original nickname alongside their alias. You can however use any name you wish for your team as long as it remains respectful. Failure to do so will result in your instant denial from the tournament, or removal if found out after being accepted. 9. You're allowed three sub per team. Herishey, Ledger, Troister, Dren, Axiom, Kore, Blackbeard, Spacekiller, Tib & Maurice. Drake, Fwuffy, Maharbaal, Stark, ExTaZz94, Bagins, LeBrave, Cr3a, Marquez, Muha. MarxeiL, KOBZIK, Golden, Mandar1nchik, janne, Desant, Metalsie, Fotin, Moskito & Zork. Sign-ups are currently open but considering the tournament is to happen in one month, do not sign-up if you're not sure you will be able to attend in January. As per usual, I'm going to need some referees and possible one or several co-hoster(s) and any help is appreciated. I should be able to gather most of the old staff from previous editions but any new faces are always welcome. Why would you like to become a referee : Because I´m almost like a co host of "Changing times"
Prior experience : NWWC, RGL, NWGFL, Changing times 1v1, 2v2 etc. At this point, rather make it official and start co-hosting together. I will be forced to ask for your opinion and approval but that's not much in regards to the amazing work you've been providing so far to help me with these tournaments. Updated, will talk to more ppl tonight.